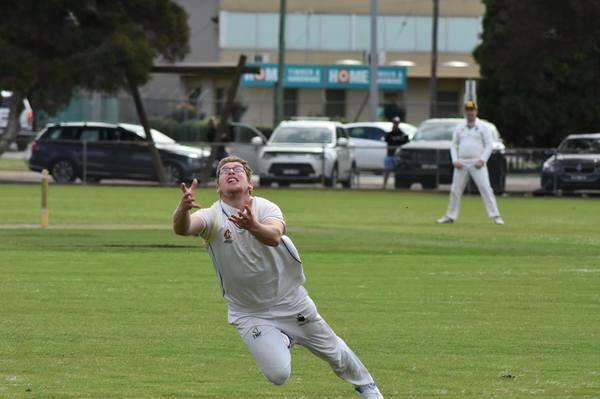 Rain hampered many games around the state last weekend, and Geelong Cricket Club wasn’t immune, with its first, second and fourth 11s washed out. That means the scheduled two-day game against Greenvale away will now revert to a one-day game this Saturday. 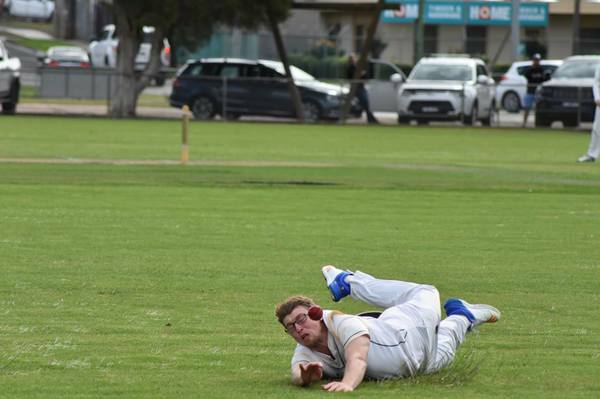 Geelong Cricket Association was also hit hard, with only a few games starting last week. In division one, South Barwon’s wicket was deemed fit to play. After winning the toss the Swans asked Grovedale to bat first on a wicket that looked like offering the bowlers a fair bit of assistance. And so it proved as Joel Davies (5/47) and English import Lewis Sharp (4/50) ripped through the Tigers’ batting line up, at one stage reducing the visitors to 6/22. Grovedale was never going to go down without a fight, though, and Skipper Barry Tsitas (27) and 16-year-old second-gamer Lachlan Hornibrook (30) ensured the Tigers at least reached three figures to be eventually out for 111. South Barwon still had to face 30 overs on the dicey wicket itself, and when Davies fell early for a duck the game was well and truly up for grabs. Phil Lang made a valuable 20, though, and despite being dismissed shortly before stumps had left his side in a strong position at 3/47. With much-better conditions expected this weekend, South Barwon will be expected to cruise to victory. However, Grovedale has been known to pull a rabbit out of a hat at times, and Saturday might just be one of those days. In division two, a pair of one-day games were completed while the other two were washed out. Thomson pulled off a thrilling victory over Highton in a game decided by run rate after the rain hampered the Tigers’ run chase in the second innings. Meanwhile, Torquay continued its good form, defeating the struggling St Peters by 69 runs at Spring Creek Reserve. Saturday features another round of one-day games, with each looking like it could go either way. With only eight teams in this division, every game is so important, and the likes of Manifold Heights and St Peters will be desperate to beat Torquay and Marshall respectively or their seasons could slip away before the end of October. Selections: Manifold Heights v TORQUAY, St Peters v MARSHALL, Thomson v BELL PARK, MURGHEBOLUC v Highton. And in division three, four of the five games started, with all reaching various stages of play before the rain finally won out. Corio look well-placed against Geelong West after the Devils posted a very competitive 188 on the back of 58 to Dylan Shelley. The Rams batted late on day to reach 1/24 by stumps. Geelong West has enjoyed plenty of success over recent years but this could be a great chance for Anthony Grace and his boys to send a statement that Corio will no longer be an easy-beat. In the other game that got plenty of play in, Guild Saints found the conversion to hard wicket cricket tough at first, dismissed for just 139. But with plenty of overs remaining to complete the first days play, the team fought back to reduce Teesdale to 9/123 at stumps. With 17 runs still to get, Saturday’s first half hour of play will be as tense as it gets.